A new film airing this month on the National Geographic Channel promises to set the stage for more nuanced conversations about the fabled first Thanksgiving. 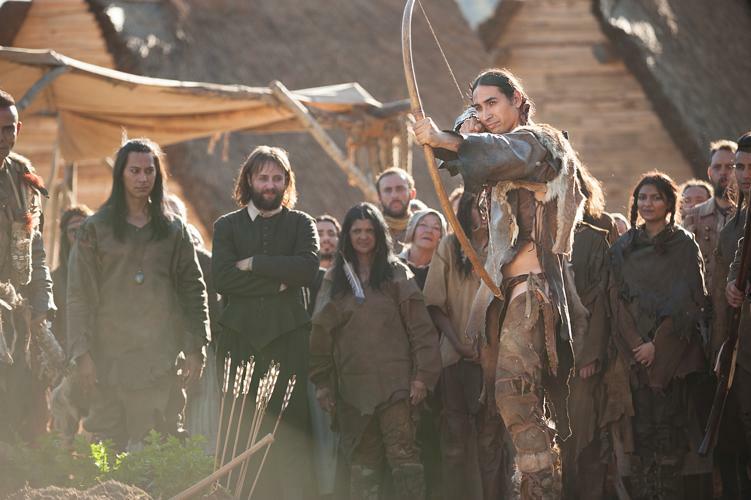 “Saints & Strangers” is a four-hour, two-night movie event billed as the “real true story of the Mayflower passengers, the founding of Plymouth and their relationship with the Native Americans.” The film, produced by Sony Pictures Television with Little Engine Productions, will air November 22 and 23. Instead, Americans learn a dumbed-down version of the story, which often portrays Natives as one-dimensional people: savage, uncivilized and simple; or worse, a force to conquer. For example, most people recognize Squanto’s name, Queypo said, but they don’t know the details of his life. A member of the Patuxet Tribe, Squanto was kidnapped in 1614 and sold into slavery. When he returned to New England in 1619 and found his tribe obliterated, he joined the Wampanoag and served as an interpreter and guide for the pilgrims. 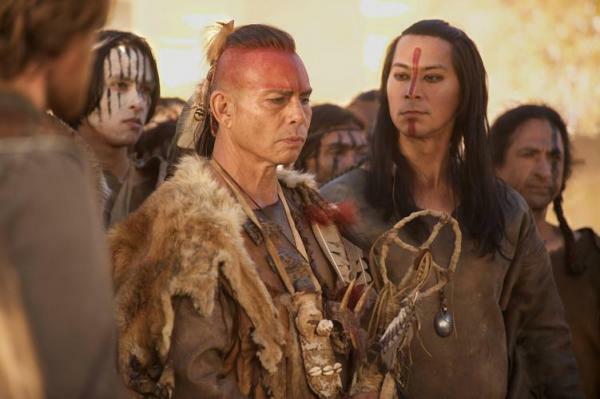 The film’s Native cast also includes Raul Trujillo as Massasoit, the leader of the Pokanoket tribe; and Tatanka Means as Hobbamock, one of Massasoit’s men and an elite warrior believed to be indestructible in battle. Actors worked with Jesse Bowman Bruchac, a Western Abenaki language coach who helped them learn their lines in a dialect similar to what was spoken in New England 400 years ago. 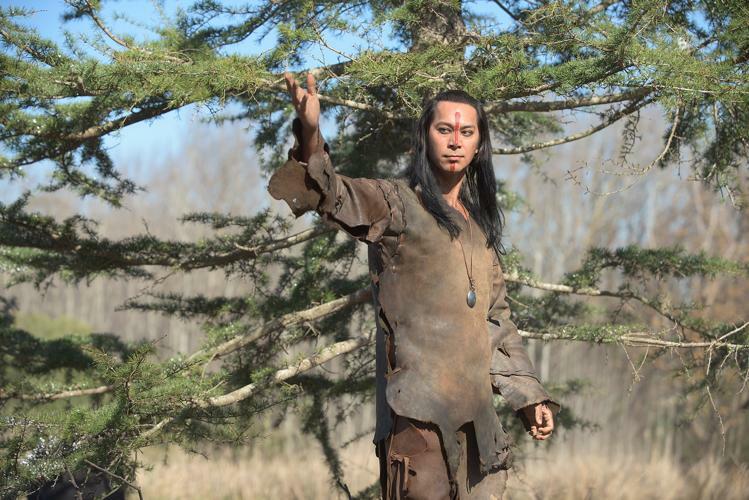 Bruchac estimated about 30 percent of the script is in Western Abenaki, with subtitles, a touch he believes adds authenticity to the film and complexity to the story. Bruchac also points to the film’s portrayal of Native communities prior to the Mayflower’s arrival. The ship’s 102 passengers were not the first Europeans to set foot in the New World, and Native societies already were grappling with devastating diseases and internal political turmoil. In the title of the film, Nat Geo also makes a distinction between the types of pilgrims on board the Mayflower. The saints are the religious separatists escaping persecution, while the strangers are motivated by adventure, power or fortune. “I don’t know that either group deserves the title of saint,” said Executive Producer Grant Scharbo, who added that Nat Geo enlisted help from the Smithsonian Institution to track down historical details. 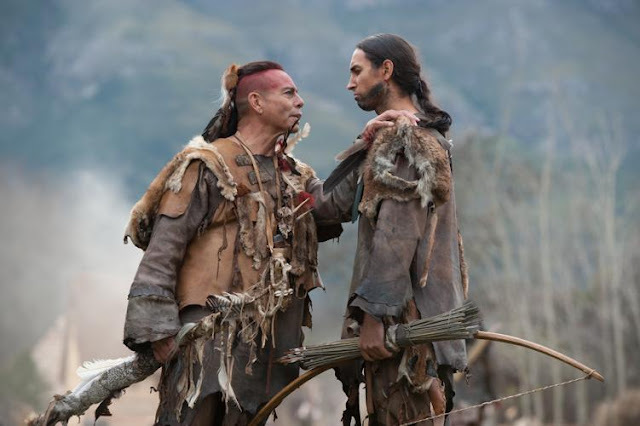 The result, Queypo said, is a complicated and heartbreaking story for both the pilgrims and the Indians. But the film comes with a warning from Sonny Skyhawk, founder of American Indians in Film and Television, an organization established in 1981 to “create a better understanding of issues pertaining to the image, portrayal and depiction of the American Indian.” Skyhawk, who is Lakota, said Nat Geo approached him for consulting services on the film, but he walked away because the project lacked integrity. Among other things, Skyhawk takes issue with the producers’ failure to consult in depth with the Wampanoag Tribe. The Wampanoag gathered with the pilgrims at the first Thanksgiving feast and today operate Plimoth Plantation, a living history museum built near the point where the Mayflower hit land in 1620. Responses to "‘Saints & Strangers’: New Film Promises to Show the Real Story of First Thanksgiving"
Shouldn't you watch it first Granny before you start condemning it? My partner is native and even he hates how everyone wants to live as a white man and moan about how horrible the white man was, yet they do not live traditional way. Perhaps watch it and see before you condemn it and speak for all "white people". For someone who looks very white i hope you are not picking and choosing your ancestry. Why doesn't a native American group put there own version together without any interference from others? Does that make sense? I dont think it will say much, but Im betting my dollar that it will tell some truths because it has to appeal to a certain majority audience who maybe not open minded or just plain ignorant and dont want their current illusion or privilege threaten, as the saying goes some people cant handle the truth.And those that feed them will be out of the job. you know what I mean?